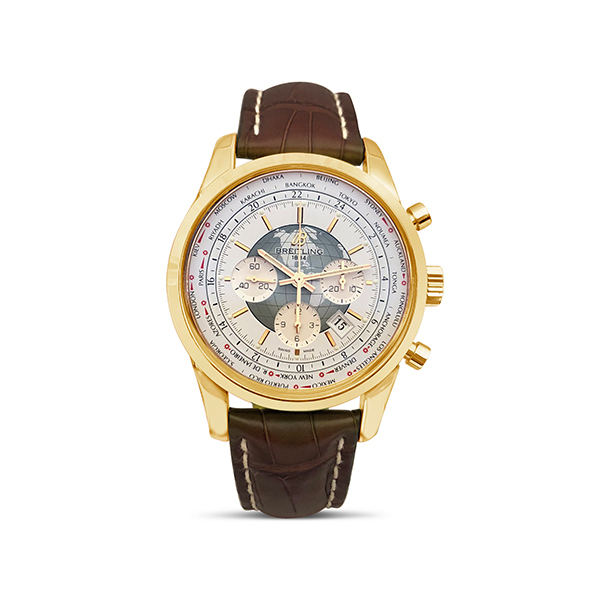 This new Breitling Transocean Unitime features a polar white dial with a brown strap and is solid 18kt yellow gold. This watch comes complete with box and a 5 year factory warranty. Model Number: RB0510UO/A733. Serial Number: 4223XXX.